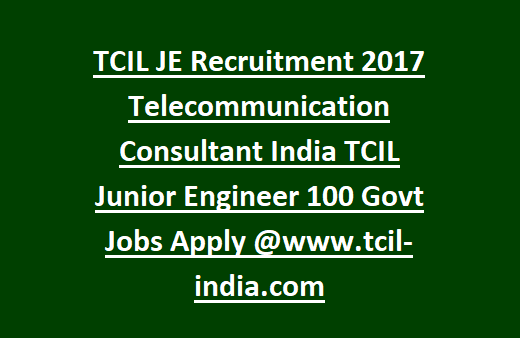 Qualification for TWD TCIL Junior Engineer Jobs will be given in the below. supervision, installation, testing, and operation. Engineering from a recognized Institute/University. per the requirement of the project.